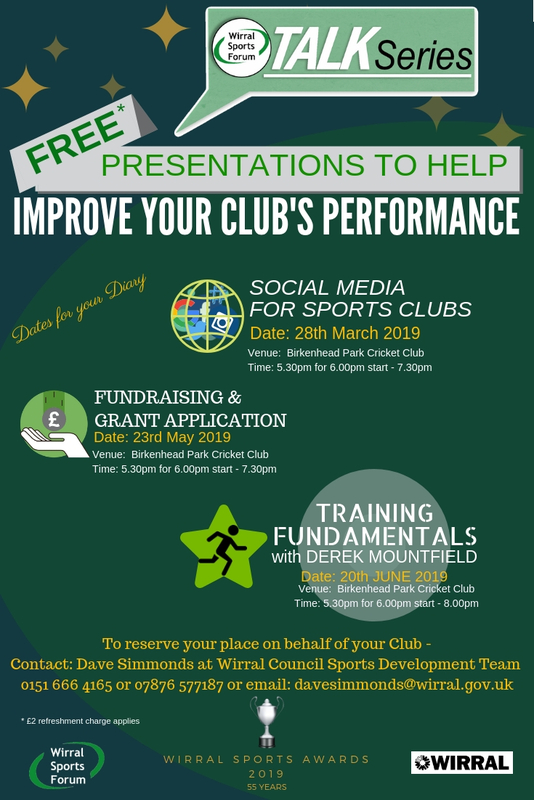 We are delighted to announce a series of talks aimed at helping local Sports Clubs in various aspects of organisation, management, media etc. 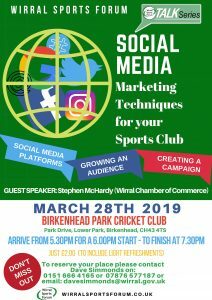 The first talk, taking place at Birkenhead Cricket Club on Thursday 26th February, looks at your Club and GDPR. For just £2 please don’t miss out on this unique presentation courtesy of David Lenagh, GDPR specialist. To reserve your place for this and later Talks, please contact Dave Simmonds at Wirral Sports Development Unit, Wirral Council. Tel: 0151 666 4165 Mob: 07876 577187.